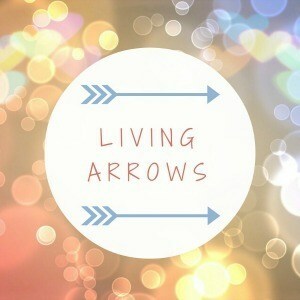 Living Arrows #15 - Merry Christmas! 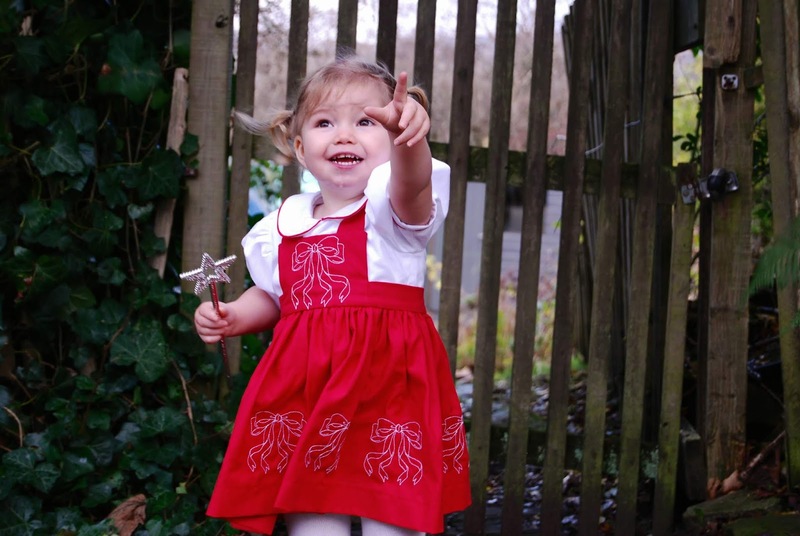 Christmas as a parent is one of the most amazing times of a year, a truly magical time. It's almost as though we can relive the wonder all over again, through our children. Christmas Eve is probably my favourite day of the whole season because I love building up the excitement for the kids and asking them to help prepare everything for the big man's arrival. This year we had our annual Christmas Eve boxes, filled with lots of yummy treats, Christmas jumpers, a book, bath bombs, and a few more bits and bats. We also did the usual tradition of leaving out a glass of milk, a mince pie for Father Christmas and a carrot for the reindeer. We also left some reindeer food (oats) in a bowl and hung a magic key on our front door. The kids went to sleep as soon as their heads hit the pillow and they were up at the crack of dawn, it was still pitch black outside! We had the most amazing Christmas and we hope that you all did too! Merry Christmas! Can you believe that Christmas is just four days away? We are all so very excited and I bet you are too! We've crammed so many festive activities into the past few weeks, it's been none stop, but we wouldn't have it any other way for the kids. We've watched Christmas movies together, read all our festive books, visited Santa at his Grotto, met elves, took care of donkeys, celebrated Christmas jumper day, had our own Christmas light switch on party, been two not one, but two other Christmas parties and watched Noah in his first ever Nativity play! It's been such a magical time so far, and with Noah finishing school today we have a few more surprises up our sleeves. I hope you all have the most wonderful Christmas. 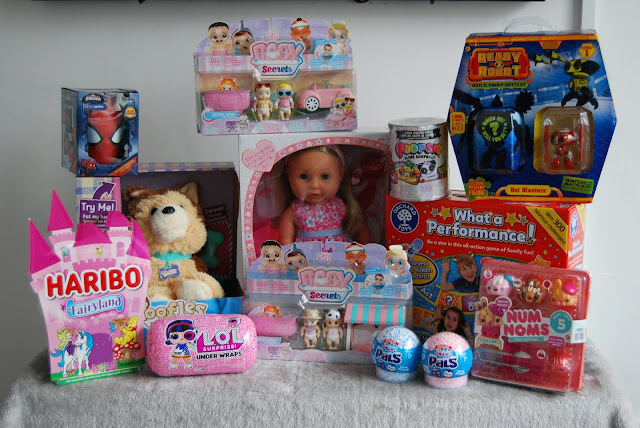 I believe in letting toys be toys and both my children have always had access to all kinds of toys, from bricks and cars, through to dolls and cuddly toys. I've always encouraged them to play with whatever they want to, however, Ava loves to play with dolls, whereas Noah opts for action figures. Those are their own preferences and I'm glad that I've had no part to play in those choices. 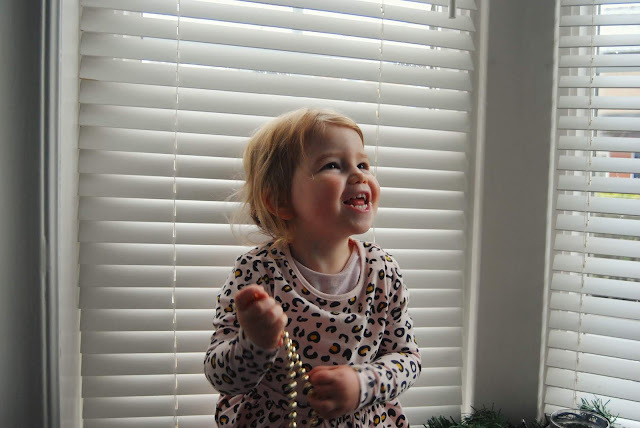 Although Ava is only 21 months old (I just had to work that out) she already has quite the collection of "babies" but we were more than happy to accept a new baby into our brood when we were offered the opportunity to review one a Chad Valley Tiny Treasure Doll. They are so cute, how could we say no? We received the Chad Valley Tiny Treasures Doll with Blue Outfit and Hat (boy) for the purpose of this review, but there's also a girl version who wears pink and has blonde straight hair, and a girl with darker skin and curly hair. The doll was presented beautifully in a car seat gift box, which can be reused and used for role play. Ava wanted to unbuckle him and give him a cuddle right away as you can see by the photo's above. The quality and attention to detail is next to none, he's one of the best dolls I've ever come across. 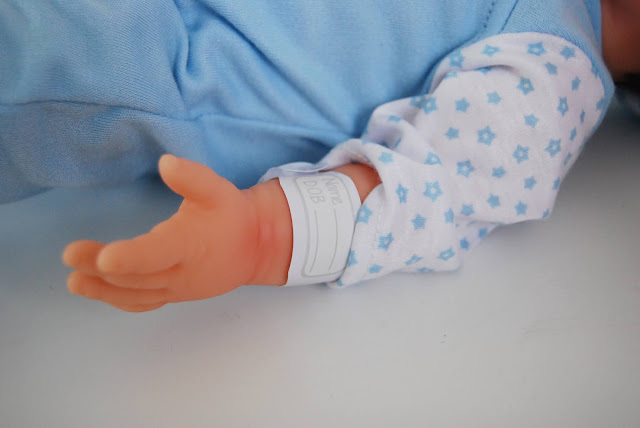 I have a family member who makes the most amazing reborn dolls and he's so similar to them, from the weighted body, floppy limbs, and head, to the individual eyelashes and delicate skin detailing. His skin is so soft and squishy, his eyes close when you lay him down and he even smells like a real baby! With the doll, you'll find a removable sleepsuit and hat, a birth certificate and hospital tag, which adds even more realism to play. There's an array of different outfits and accessories that you can buy separately if your child likes to dress their dolls or if you want to change their look. Although this is supposed to be the "boy version" because he's wearing blue, he has no private parts so you could purchase additional clothes and he could be a girl too! Ava adores her new baby and seems to be insisting on calling him Baby Shark! (I'll have to convince her otherwise!) Today I've watched her kiss him, nurse him, read a book to him, and brush his hair. She dotes on him like he's a real baby and I know that she'll play with him for years to come. 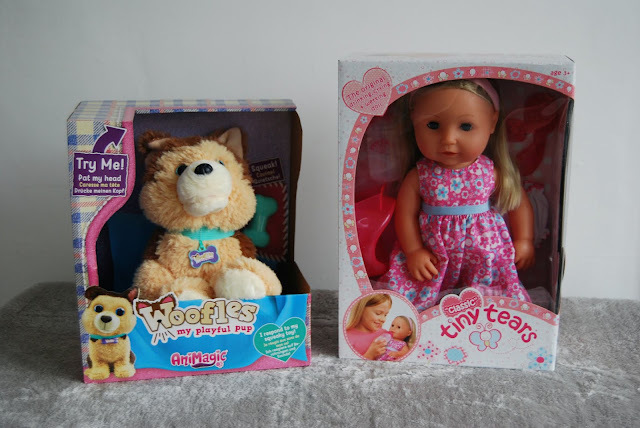 Chad Valley Tiny Treasure Dolls are suitable for children from three years of age, retail at £39.99 each and are exclusive to buy from Argos. How Is A Medical Negligence Claim Valued? * How serious the injuries suffered due the negligence were. * The impact these injuries have had on the injured person’s life. * What level of legal responsibility the healthcare provider in question is found to have. The actual amount of compensation you receive will also tend to rely significantly on the skills and experience of the legal team representing you. A key factor will be how accurately your lawyers are able to assess the value of your claim and how effectively they are able to represent you during out-of-court settlement negotiations and/or during court proceedings. 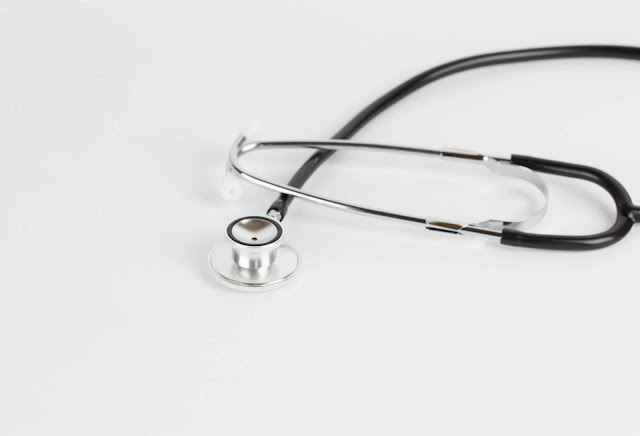 Generally, the compensation you can receive for a successful medical negligence claim can be divided into two main types of damages – special damages and general damages. * Fees for rehabilitation, recovery and support treatments, including physiotherapy, occupational therapy, and speech & language therapy. * Lost income due to having to give up work, reduce your hours or take on lower paid work. * Reduced quality of life e.g: Damage to or loss of your eyesight, hearing or other senses, having to give up a favourite hobby or other activity and loss of independence. Because the exact value of a medical negligence claims depends on so many different factors, providing a valuation for a specific claim can be complicated. It is therefore strongly recommended to consult a legal team with extensive specialist experience dealing with these claims so you can get an accurate indication of your claim’s potential value. IBB Claims’ medical negligence lawyers have handled straightforward claims to complex and contentious claims for many years, achieving significant compensation for a wide range of clients. This experience means the team at IBB Claims can quickly provide a realistic idea of how much compensation you may be entitled to for all types of medical negligence claims. For a reliable, highly accurate estimate of your claim’s likely value, please go to www.ibbclaims.co.uk. 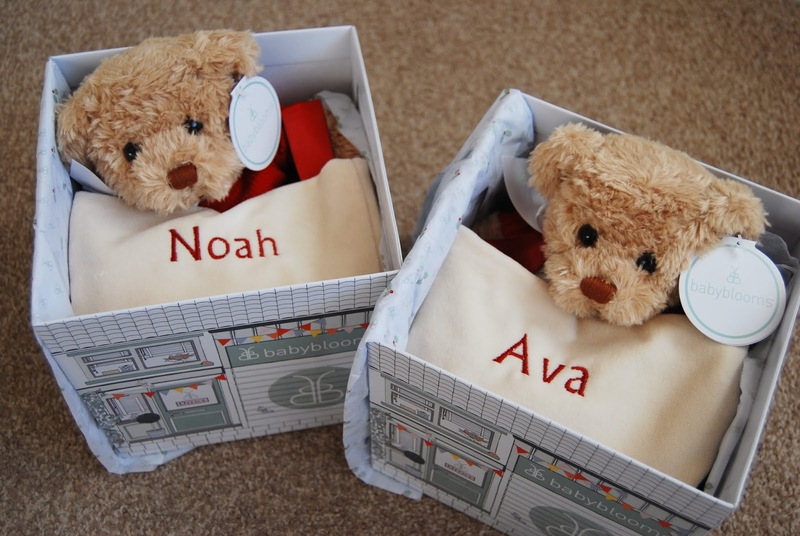 This time last year we were sent the most beautiful gift to review, they were the personalised Bertie Bear and Christmas stocking set from Babyblooms, and you can read that review here. I was blown away when they arrived because the quality was out of this world, they were simply beautiful. I knew that they'd become a new tradition for the kids and that we'd bring them out every Christmas going forward. 365 days later and we love them just as much, if not more. The stockings were hung and the teddies were cuddled before we'd even started decorating the tree! The Personalised Bertie Bear & Christmas Stocking set is packaged in a beautiful gift box, which screams luxury before you've even opened it to see what's inside. The Christmas stockings come in three different colours, red, blue and pink and are handmade from a luxurious velvet fabric. These can be embroidered with a name (up to ten letters) of your choice and are the perfect size for little ones. With the stocking comes a beautiful little bear named Bertie. He wears an embossed white ribbon bow around his neck with a knitted jumper in the same colour as the stocking and with the same personalisation. He's so soft that even the biggest Scrooge wouldn't be able to resist a cuddle or two. The personalised Bertie Bear and Christmas Stocking set costs £50.00 and is worth every single penny. It's such amazing quality and would make the most thoughtful gift for Christmas. How would you like to win a personalised Bertie Bear and Christmas Stocking set in your choice of colour and with the your name of choice? To enter all you need to do is use the Gleam form below. Good luck and don't forget to enter my other competitions. 1. There will be 1 winner who win the prize mentioned above. Last week, I published three gift guides, one for women, one for men, and one for children, all of which are with lots of different suggestions when it comes to gift giving this Christmas. My fourth and final gift guide of the year is for the little ones in our lives, our babies and toddlers. 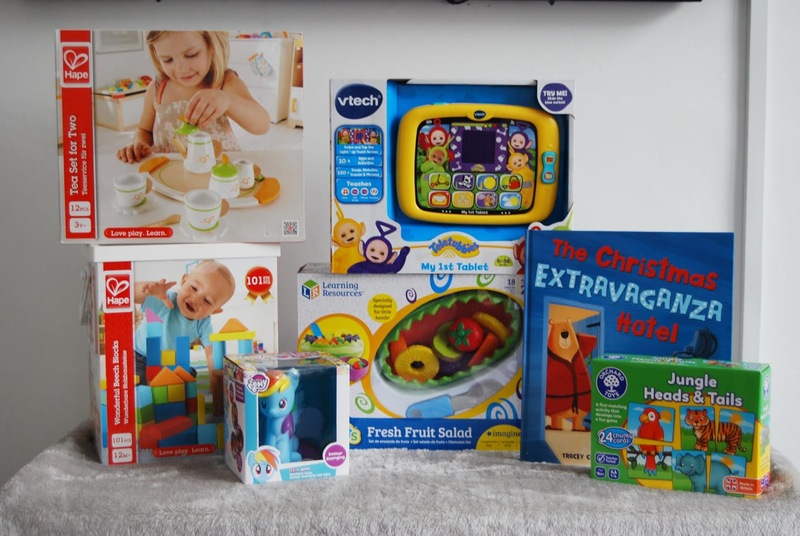 It contains everything from fun toys and puzzles, through to useful bibs and nappies. Enjoy! Hape Tea Set for Two - £17.99 This set has everything kids need for teatime role-play fun. Children can put the wooden teabag into the teapot and imagine brewing up the perfect cuppa. The 2 cups and saucers help children to learn about sharing, while the tray, milk jug, and sugar bowl add to the role-play exploration. With pretty patterns and rounded designs, this wooden tea set if perfect for little hands and the high-quality wood makes this set a beautiful gift, durable enough to withstand years of play. Hape 101 Wonderful Beech Blocks - £12.99 This box of bricks is full of wooden cubes, cylinders, stacking arches to build bridges and balancing triangular blocks to create soaring rooftops. 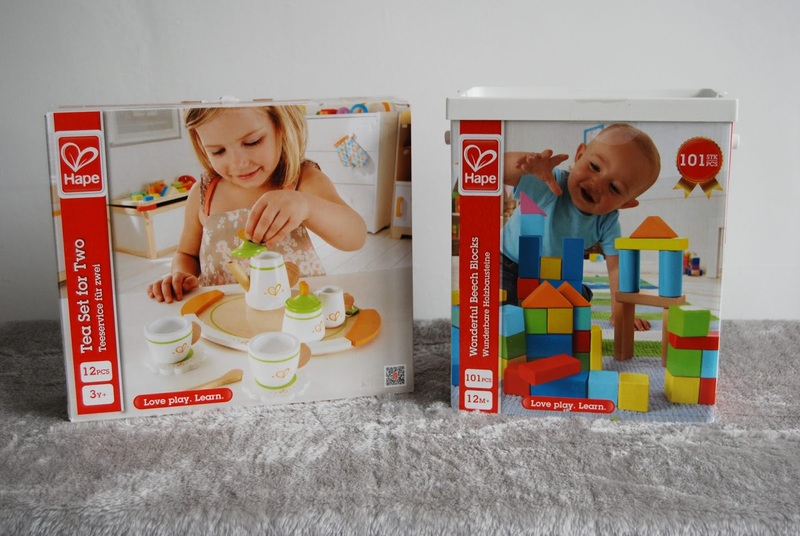 When children play with the Hape 101-Piece Wonderful Beech Blocks set, they can express their creativity, learn to recognise shapes and colours, and build a wooden world for their other toys to play in. Stacking and building help children to develop fine motor skills including dexterity, balance, hand-eye coordination and put and take skills and would make a great gift for Christmas. Both of these Hape sets suitable for children from 3 years of age are available to buy at Smyths. 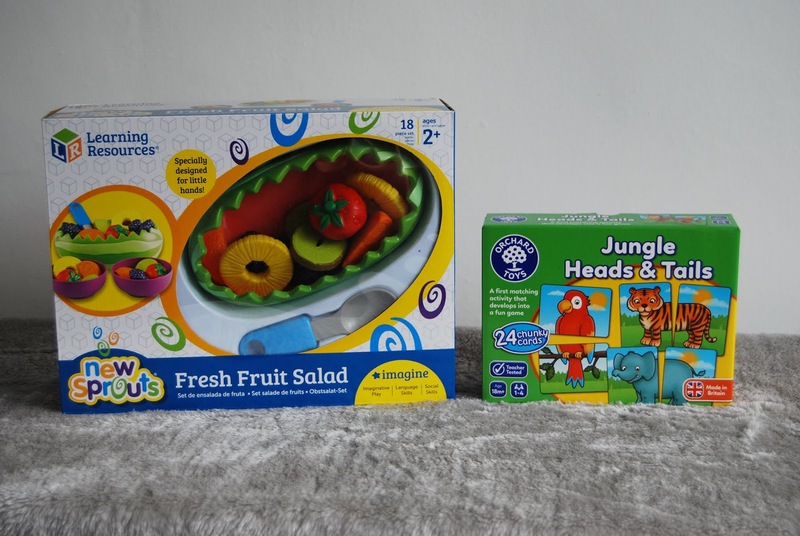 Suitable from 18 months old this Fresh Fruit Salad set from Learning Resources is bound to appeal to most youngsters. Not only is it a great role play toy it's also a fantastic way to encourage youngsters to use their imagination, vocabulary, coordination, and social skills. In the set, you'll find a watermelon serving bowl and spoon, two small bowls, three berry clusters, three strawberries, three slices of kiwi, and two pineapple rings. This is already wrapped up ready for Ava for Christmas! 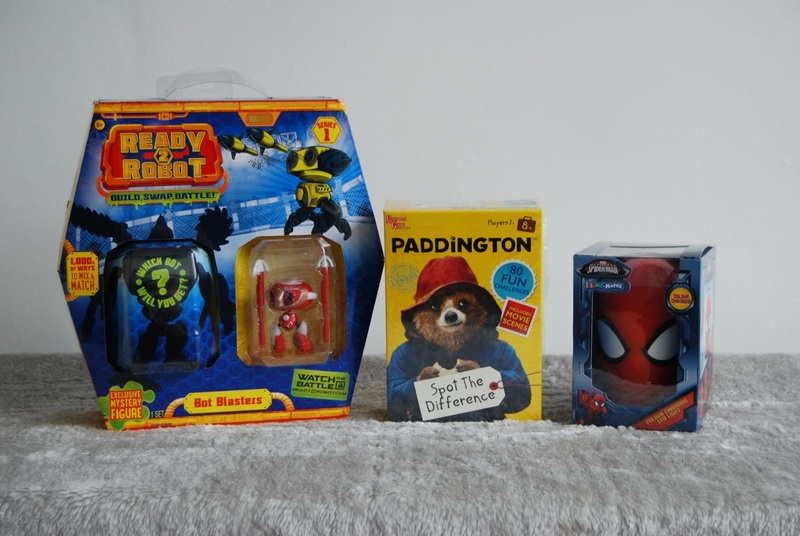 Orchard Toys are the best of the best when it comes to children's games and they cater for so many age ranges. The Jungle Heads and Tails game makes a perfect first game for little ones as it's suitable from 18 months. Not only is it fun, but it's designed to develop matching, memory and observation skills. Bear is ready for a calm, cosy Christmas. Frog is ready for a "tinsel-tastic" Christmas at the Extravaganza Hotel! Neither is ready for what happens next! I think books make great Christmas gifts for children and this 32-page story from Little Tiger Press is bound to be a favourite for children of most ages. My Little Pony favourite Rainbow Dash is another fantastic colouring changing light from Spearmark. Powered by batteries they give off just thr right amount of light and change colour too. Just like the rest of the night lights in the range, it's portable and just the right size for children. With so many characters to collect these lights would make a fabulous little stocking filler this Christmas. Babyblooms Evie rag doll makes a very special gift for any occasion as she brings with her the promise of a world full of imagination, fun and adventure. 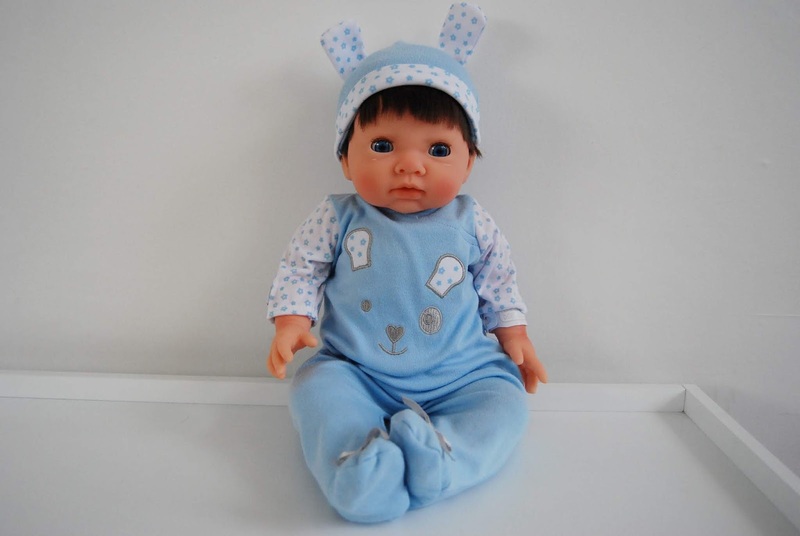 Traditionally designed with soft cotton clothing she makes the perfect first doll and favourite playtime friend. Beautifully packaged in one of our exclusive, illustrated gift boxes this is a wonderful gift for a new baby, toddler or child and makes a beautiful keepsake. 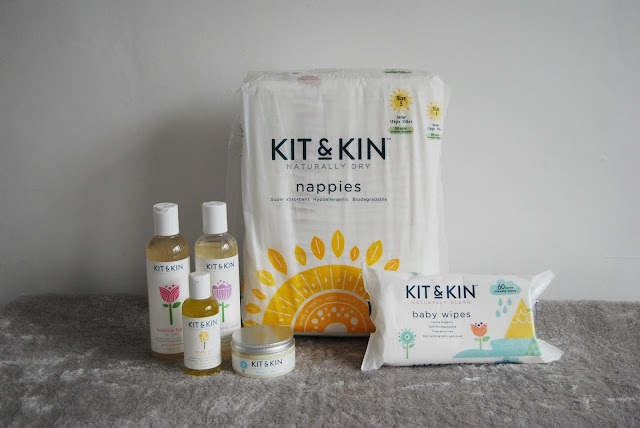 Kit & Kin, the award-winning eco-friendly mother & baby brand co-founded by Emma Bunton, offers an amazing range of natural skincare products and the cutest sustainable nappies. The ideal gifts for any new or expectant mothers! Kit & Kin skincare is certified natural by the COSMOS association, is hypoallergenic, and approved by dermatologists. Nappies might not seem like the most glamorous of gifts but these cute animal prints beg to differ! Not with the designs make you ‘cooo’, but more importantly, the nappy has been developed using sustainably sourced ingredients so you can rest assured you’re doing your bit to help the take care of the planet. The new Bibetta Weaning set is perfect for little ones at any stage through their weaning journey. Easy to clean both in the washing machine and by hand, Bibetta Weaning Products are made from soft, stretchy neoprene making the bibs comfortable to wear, and 100% waterproof. Neoprene is a very durable fabric and we are confident that these products will last you for a long time to come! It contains a coordinating UltraBib, UltraBib with Sleeves and Placemat with pocket. Buying as a pack saves 20% against buying items individually. aden + anais is celebrating the 90th anniversary of Mickey, the true original, with its first-ever metallic Disney collection featuring iconic artwork of the world’s most lovable mouse through the years. Made with four layers of 100% cotton muslin, this metallic dream blanket ensures playtime, cuddle time and bedtime are nothing less than dreamy. The generously-sized blanket is perfect for both newborns and toddlers. This metallic dream blanket is machine washable, but the precious fabric requires specific care instructions, so be sure to follow them carefully. Emily Red Classic Shoes - £16.99 The Emily T-bar first occasion pram shoes have been crafted with premium quality soft leather and a slip-resistant rubber sole allowing your toddler to explore their environment with confidence. They are super soft and allow feet to move and develop as nature intended while providing protection for delicate feet. These pretty red leather shoes are perfect for Christmas parties, weddings, christenings or any special occasion. They have a soft leather insole and a cushioned ankle trim for added support. The single Velcro fastening means they are easy to get on wriggly feet. Shimmy Shoes come delivered in a lovely shoe box and make a perfect gift. Johnson's Sleep Tight Gift Set - £11.99 How about giving the gift of sleep to an exhausted parent this year? Of course, it's not a given but this Johnsons Sleep Tight Gift Set contains everything you need to start establishing a relaxing night time routine. 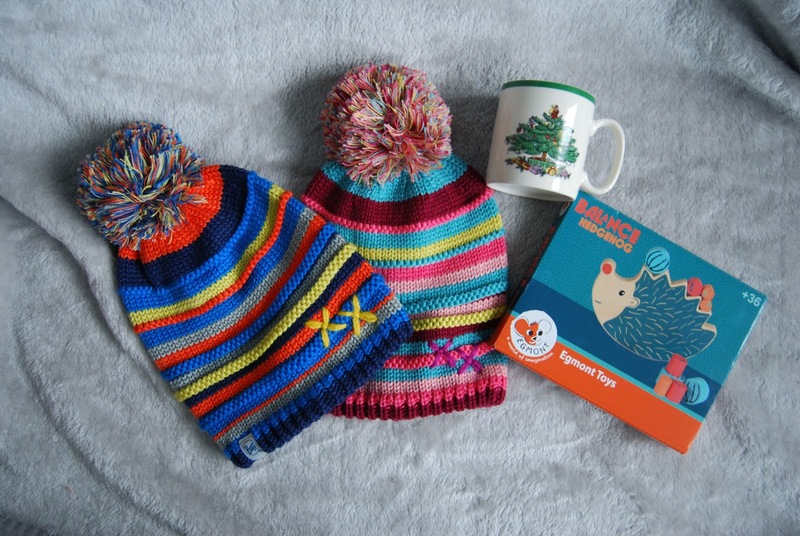 Included is a selection of Johnsons products, a book and a pair of cosy socks. Would you consider any of these gifts for Christmas? We all dream about having the perfect Christmas day. Snow falling outside, while all the family sits down in front of the fire, all toasty, happy and ready to finally get down to opening their presents! 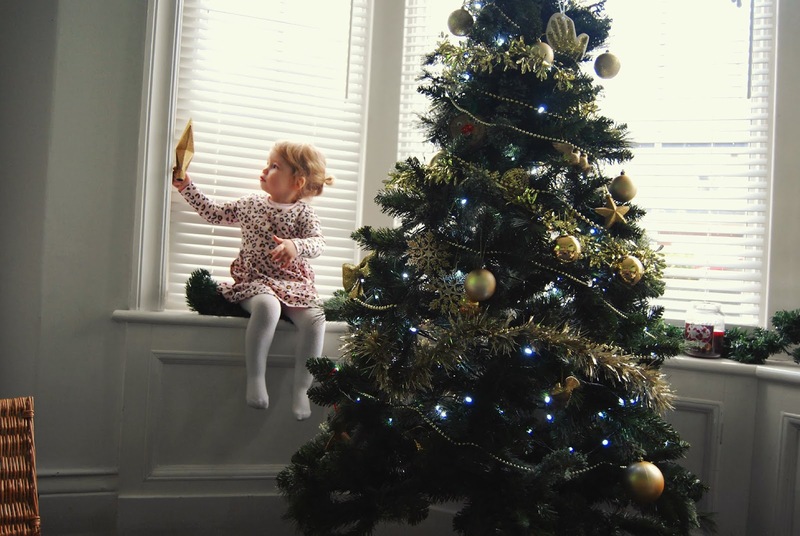 However, money can often feel like an obstacle when it comes to setting the scene for that idyllic Christmas day. How can you possibly create a Christmas scene to rival those in White Christmas when you are on such a tight budget? But not to worry! I'm on hand to give you some tips on how to get your home ready for the festive season without having to break the bank. Christmas can come early! In fact, the earlier you start planning for Christmas, the less stressful December will be for you and your family. Try to make a list of all of the tasks you need to complete in each room of the house and what items you will need for each one. By breaking the tasks down into an easy-to-read format, it should make decorating your home seem more manageable, and less like an impossible mountain that you must somehow overcome. Make sure you actually have a budget when planning for Christmas! How many people do you have to buy for? How much will each of their presents cost? And after all the presents have been bought, how much will you have left over for decorations? Its very easy to get carried away with decorations at Christmas, so make sure you try to stick to your budget as best as you can. There’s no need to purchase a new set of Christmas decorations every year. If you have any decorations saved from previous years, ensure that you make the most of them! 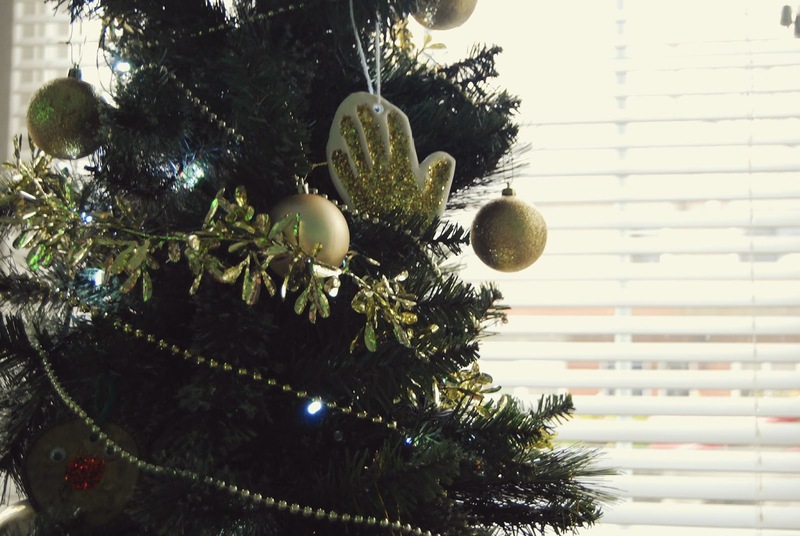 Also, when it comes to taking your decorations down again, make sure you store them safely and securely so that they can be reused for many years to come! It’s sometimes easy to forget what Christmas is all about. Why not put your family in the Christmas spirit by getting everyone together to create your own Christmas decorations from scratch! This activity will encourage family bonding and foster your children’s creativity. It will also add a unique, personal touch that will warm your heart during the festive season. Make sure that you properly safeguard your house from any problems that the harsh, cold weather might bring. The last surprise you want to wake up to on Christmas day is a leaky roof! Many roofing companies in the North East of England will be able to check your roof for any issues, so make sure you get in touch with a professional roofing contractor sooner rather than later. 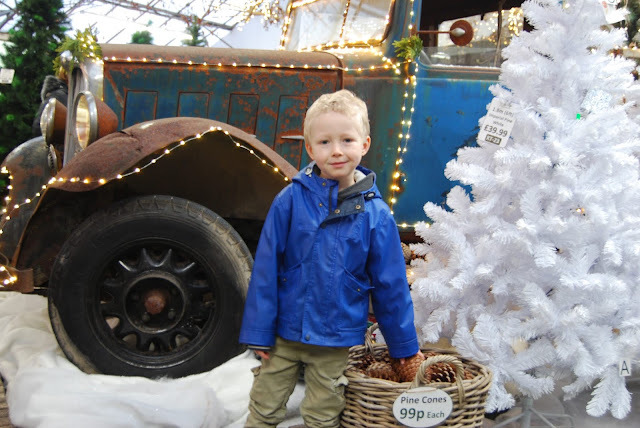 Can you believe that there are just three weeks to go now until Christmas? Where did the year go? With Christmas creeping up on us fast I've started to publish my Christmas gift guides, something that I really enjoy doing every year because they always leave me feeling inspired. 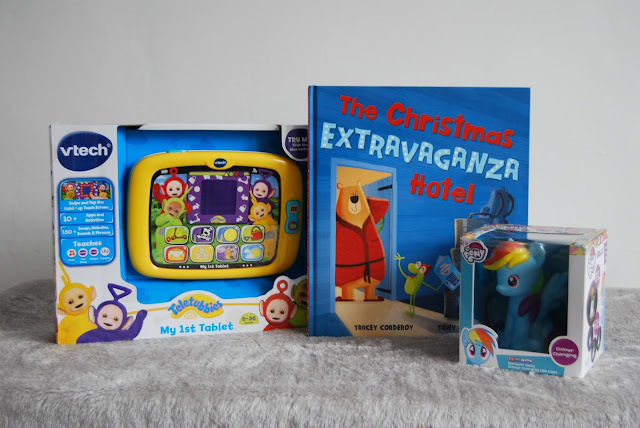 I think the Children's gift guide is always a favourite, it's so much fun to put together! Woofles My Playful Pup is a great gift to go for if your children really want a pup, or is an animal lover like my children. He’s the most realistic pup toy that you’ve ever seen, and super cute too. Stroke his head and he'll make cute puppy sounds as he gets ready to play. You can even talk to him or use his squeaky bone toy and he'll react to you, moving around and barking along happily. This classic Tiny Tears Doll is just how I remember her, with moveable arms, legs, and lovely blonde hair. She comes with a bottle, potty, hairbrush, pull up knickers, a dress and headband. Children can feed her using her bottle, sit her up, and watch her cry real tears. When sitting her on the potty she will even do a wee! She also closes her eyes when she is led down in bed. 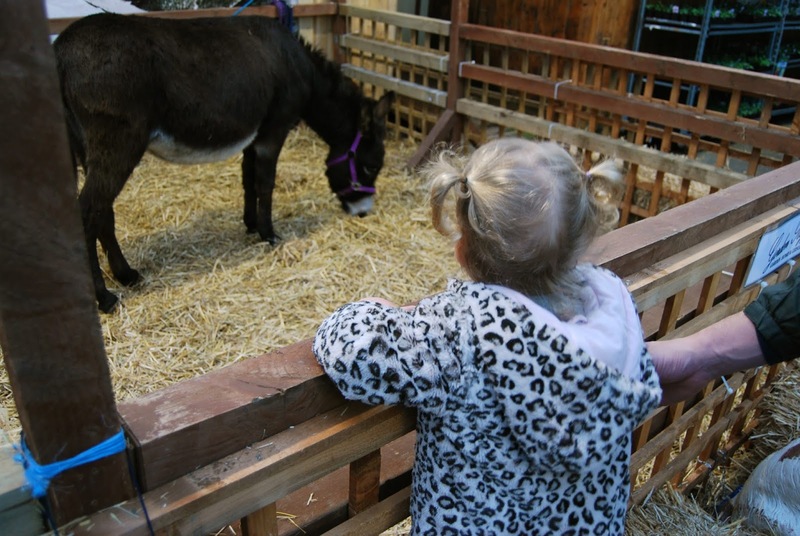 Tiny Tears is bound to keep children entertained and engaged this Christmas. Ready2Robot are the only collectible brand that lets you build, mix & match your own custom ‘bots, and battle your friends in a robot-brawl inside the Fightanium Arena. Unbox more bots, build your ultimate brawler and blast your way to becoming champion! Last bot standing gets the glory and the bragging rights. Each Bot Blaster pack includes extra weapons and accessories to build and customize your mechbots and Pilots Asst for battle. Includes 1 blind packed Ready2Robot pod and 5 accessories. Follow the adventures of Paddington, the most loveable bear, in two seemingly identical images. But just like his adventures all is not what it seems. Can you find the 5 or 10 differences and beat your opponent to find the pot of marmalade! I can imagine so many children enjoying this Paddington Bear Spot The Difference game on Christmas day. Bring a bit of superhero fun to bedtime with the colour-changing Spider-Man Illumi-Mate comfort light. When switched on, this brightly coloured character light will gently glow and change colour from red to blue to green, white and purple. The LED light inside stays cool to the touch, making the light ideal for night time trips to the bathroom or for use during sleepovers. In a handy portable size, the Spider-Man Illumi-Mate makes the perfect night-time companion for comic book fans. View more characters and styles on the Spearmark website. Baby Secrets are the cutest collectable on the market, fact! Each baby has its own character, theme, name, birth certificate and they all have a secret. To discover the secret you simply place them in water and watch their nappies change colour! Blue for a boy, pink for a girl and this can be done over and over again. Baby Secrets are back, with series 2 which means there are another 50 babies to collect! 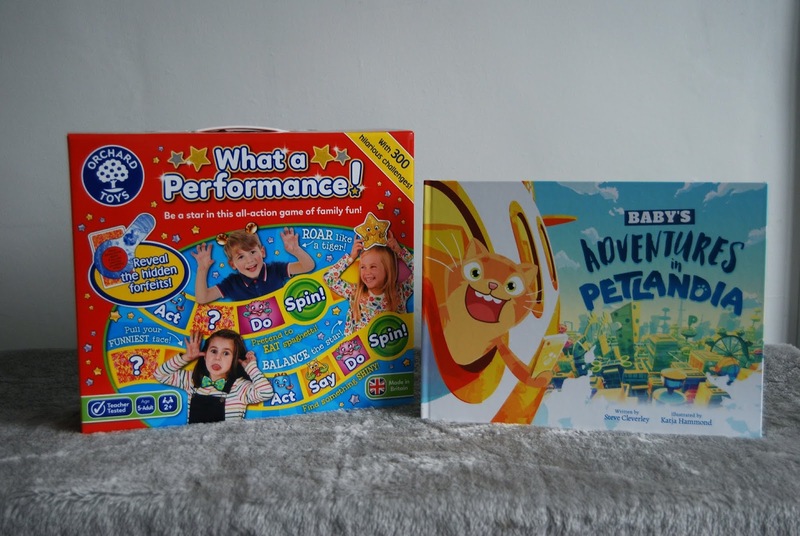 These activity packs would make a great gift this Christmas. Num Noms have been ever so popular since their launch in 2016. Two years later and they are such as fantastic as ever, and they are back with series 5. 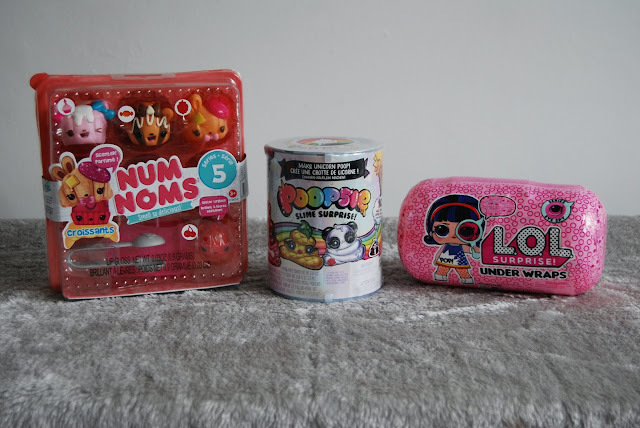 Included in the Num Noms Starter Pack are 3 scented Nums and 1 flavoured lip gloss Nom. Mix and match Num Noms to create sweet, scented recipes! Scented Nums are adorable, squishy characters with tons of personality. Noms are flavored glitter lip gloss! Stack the Nums on top of the Noms to make 3,000+ sweet-scented combinations. The world is currently going mad for slime, the kids can’t get enough of the stuff. Poopsie Slime Surprise allows children to create their own magical unicorn slime. With a little unicorn magic and sparkle, they can customize unicorn poop and transform it multiple times! Ten magical surprises included! There are 18 Poopsie’s to collect! L.O.L. Surprise! Eye Spy Series Under Wraps packs have 15 new surprises inside, ready and waiting to be discovered! Unbox the spy glass to find codes and unlock all the different surprises and find a L.O.L doll is dressed in a mystery disguise! Once the L.O.L has been discovered beneath the disguise, it then becomes multiple fashion accessories which you can and match outfits for tons of new looks. Games are fun for all the family, especially at Christmas time! What A Performance from Orchard Toys allows kids and grown-ups to be a star and rise to the challenge! Race your way around the performance board to be the first player or team to reach the finish, with lots of fun noises, actions, and activities along the way! Can you pretend to be a monkey, make a noise like a firework or wiggle your ears? If you can't, use the magic decoder and reveal your hidden forfeit on the back of the cards! This Christmas, give pet lovers a paw-fect present with Adventures in Petlandia and PetlandiaRoadtrip, hand illustrated storybooks featuring impossibly cute caricatures of their pets. Set in the wonderful world of Petlandia, dog, cat and rabbit fans can see their furry friends in beautifully written and illustrated tails of friendship, fame, loneliness and love, all fully personalised. 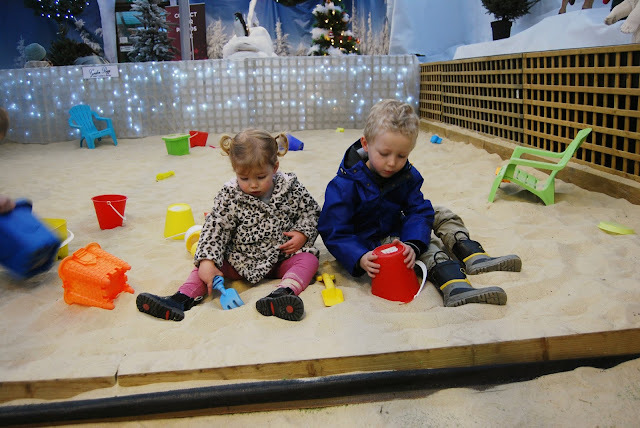 I think Playfoam Pals Snowy Friends will make the perfect stocking filler this year, kids are bound to love them. Each pod is filled with Playfoam and inside the Playfoam is an animal toy just waiting to be discovered. The Playfoam itself is non-toxic and reusable, so it’s ideal for sensory play and for encouraging children to be creative, and imaginative. There are 13 Playfoam Pals Snowy friends to collect, including a rare snowman. 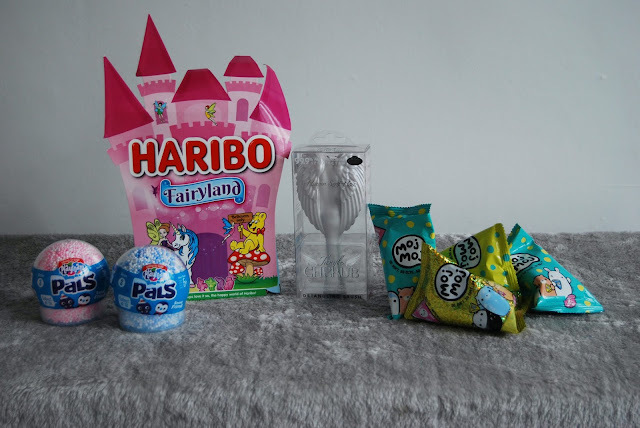 Delivering a sprinkling of magic this Christmas, the Haribo Fairyland gift box includes an enchanting mix of unicorns and fairies in strawberries & cream and strawberry candy floss flavours. Making the perfect stocking-filler or surprise from Santa, this fairy-tale treat is for believers only. Tangle Cherub is a detangling brush which is designed for children. It’s great for use on both wet and dry hair, but also great for in handbags, sports bags, travel and on-the-go detangling. It’s suitable for all hair types and an everyday essential which would make a great stocking filler. Moj Moj Squishy's are perfect for those avid collections out there, especially those who like things which are squishy! These blind bags feature an assortment of soft and squishy, rare and ultra-rare characters with fun, collectible themes. There are currently 95+ to collect and trade. I like to buy Noah and Ava a couple of new winter hats every year, they can never have too many hats in Winter. I also think they make excellent Christmas gifts. These Lasse Knitted children's hats are from Buff Wear and are our new favourite. As you can see come in two different colour ways, a blue mix, and a pink mix. They are made from a 100% acrylic material and have a super snuggly fleece lining, perfect for the freezing cold weather that we have on the way. They fit children from 4 years old, through to 12 years of age so the kids will hopefully get lots of wear out of them. Wooden toys are a fantastic way to encourage imaginative, learning play, all while choosing something that's a little more eco-friendly! Teach little ones balancing skills with this fun and engaging balancing hedgehog game. Watch the hedgehog rock back and forth as you add weighted wooden shapes between his spikes. I think this is an activity that Noah and Ava will enjoy together, which is why I've added it to my Children's gift guide rather than the Toddler edition. You can purchase this and other inexpensive gifts online at Reroom.